Product prices and availability are accurate as of 2019-04-19 15:20:54 BST and are subject to change. Any price and availability information displayed on http://www.amazon.com/ at the time of purchase will apply to the purchase of this product. Vintage Burn is a highly effective thermogenic fat burner for weight loss assisting men and women - weight loss pills specifically formulated to preserve muscle and strength while converting stored fat, including belly fat, into energy. - Burns Fat: The premium weight loss ingredients in Vintage Burn start working immediately to help eliminate fat by increasing metabolism and inhibiting the formation of new fat cells. They also help curb appetite. - Preserves Muscle: This superior fat burner contains weight loss ingredients such as green tea and is uniquely formulated to spare muscle and strength while burning fat. Thus you can retain quality muscle, which burns three times as many calories as fat per pound. You'll be seeing that six-pack even faster. 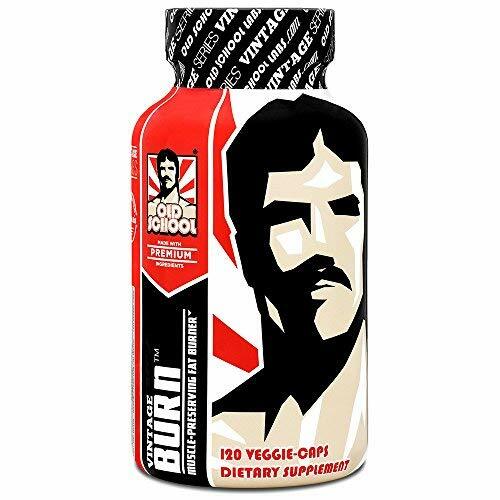 - Improves Focus & Mood: Vintage Burn is a weight loss supplement that also improves your focus and mood, which helps you manage your diet more effectively, as well as power through more productive workouts. Many thermogenic fat burners don't work, and those that do, never work well because they don't distinguish between fat and muscle! Since muscle burns three times as many calories as fat, by eating away your muscles, many weight loss pills diminish your best weapon for fighting fat! For men and women for continuing results, Vintage Burn is a fat burning solution that works. Trusted and recommended by natural athletes, Vintage Burn is the #1 best-selling supplement of its kind. So stop wasting time, money, and muscle – and start burning fat with Vintage Burn today! Warning: Contains caffeine: too much caffeine may cause nervousness, irritability, sleeplessness, and, occasionally, rapid heartbeat, dizziness, nausea, jitteriness, stomach pain, vomiting or feeling of sickness. BURN FAT & PRESERVE MUSCLE: As featured in Los Angeles Confidential Magazine. If you're looking for the best, you've found it! 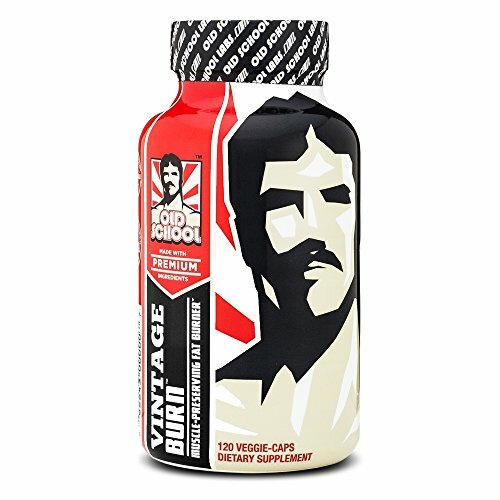 Vintage Burn is the world's first muscle-preserving fat burner for men and women. Its unique thermogenic formula helps burn fat for energy while preserving muscle, and improves mental focus, mood, and pre workout energy. TESTED AND TRUSTED: Third-party tested supplement made exclusively with premium ingredients including green tea extract, garcinia cambogia, and raspberry ketones to help burn stubborn belly fat. Zero artificial substances, zero synthetic additives, zero preservatives. Vintage Burn is the best weight loss supplement on the market to support a solid diet program. SAFETY ADVICE: For healthy adults only. Consult your physician if you are pregnant, nursing, taking medication, or have a medical condition. Do not use if seal is broken. If you experience discomfort, discontinue use and contact us for a full refund. Contains caffeine: too much caffeine may cause nervousness, irritability, sleeplessness, and, occasionally, rapid heartbeat, dizziness, jitteriness, nausea, and stomach pain. Keep this product and all supplements out of reach of children. GUARANTEED RESULTS OR YOUR MONEY BACK: Old School Labs supplements never compromise on quality and always include clear and complete supplement facts without any "proprietary blends." We stand by our products 100%. If you are not completely satisfied with any OSL product, we will help you resolve your concern or provide a full refund. 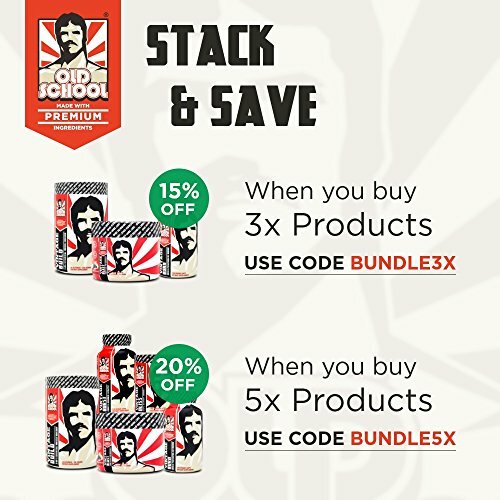 OSL HERITAGE: Old School Labs, California; Supplements That Make Sense, 40 Years in the Making. Only one thing has ever mattered to OSL: our customers. Before becoming a best-selling national brand with thousands of loyal customers and followers, this was our priority. That will never change. Our team of experts are available by email or social media to answer questions regarding the best way to use a product. Our products are sold on Amazon.com, proudly formulated in California, made in U.S.A.